Mindtree's largest investor had signalled his intent to exit a year ago. Three of the top five IT firms listed in India have non-IT businesses too. Larsen & Toubro has stayed ahead of Mindtree every step of the way. 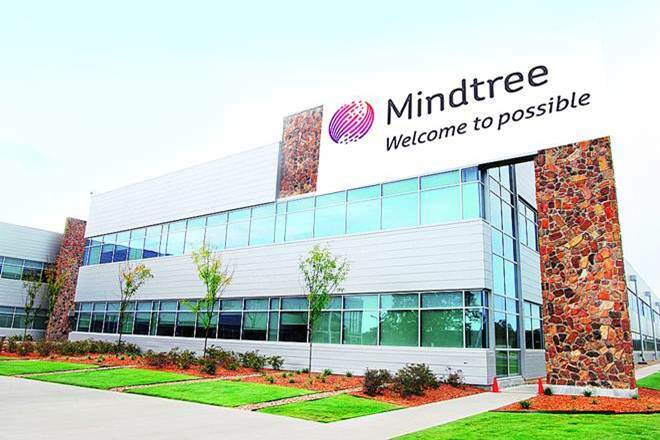 On January 16, 2019, Mindtree had its earnings-call with analysts to discuss the December-ending quarter of the financial year. The call transcript counts among the oddest I have read. Executive chairman Krishnakumar Natarajan jumped into the call unannounced, at page 15 of 16. Until then, there was nothing to suggest he was present there. Even the question from Citigroup's analyst Surendra Goel was addressed to Rostow Ravanan, CEO of Mindtree. Goel: Rostow, as a co-promoter, would you be able to comment on what the promoters are thinking about the business or...? Krishnakumar Natarajan: This is KK, I am here. I will give you a categorical sort of statement. No promoter has any intention to sell. We would rather make the company much stronger, potentially sort of increase (the) value of our stakeholders multiple-fold over the next three, four years, and build an admired company rather than getting into any speculation because honestly today our business journalism has become a bit of fiction. So beyond a certain point, I do not think we want to comment on fiction. Fiction? Two months later, it wasn't a horse that had bolted the stable, as much as Mindtree's horse-whisperer, V.G. Siddhartha. The Coffee Day Enterprises founder completed the much-anticipated sale of his 20.32 percent stake in Mindtree to construction engineering company Larsen & Toubro (L&T) on March 18. It was a rude awakening for the company's founders, notably Natarajan and Subroto Bagchi. Siddhartha had signalled his intent more than a year ago. On March 9, 2018, he had stepped down from Mindtree's board. Meanwhile, L&T wants to up the ante, making an offer to buy up to 66 percent of Mindtree. This is significant in Indian IT. If L&T succeeds in completing the acquisition, its combined technology services revenue will touch $2.5 billion, and headcount around 61,000 employees. In that spread, L&T will own the sixth-largest Indian IT business. Three of the top five technology services firms belong to companies with exposure to diverse non-IT businesses. These conglomerates are Tata Sons (TCS), Azim Premji's Wipro, and Mahindra & Mahindra (TechMahindra). In contrast, HCL Technologies and Infosys are the only companies whose raison d'etre is IT services. Septuagenarian NR Narayana Murthy, founder of Infosys, will allow himself a smile. Between December 2016 and August 2017, he launched a public campaign against Infosys's board and management. The Infosys founders reasserted control, and the campaign ended with Nandan Nilekani returning as chairman. In an address to shareholders in August 2017, Murthy repeated his spiel about corporate governance, a clear conscience, and so on. But let's face it: it was always about control. This is something the Mindtree founders completely missed—for a whole year! Control prefaces that old Peter Drucker phrase: 'culture eats strategy for breakfast'. Until 2011, the IT industry trade body Nasscom published a ranking of IT services exporters from India. I went back to the list yesterday to find how much has changed in the Indian IT pack in eight years. Satyam Computers had crashed out of the top 20 in the previous year, infamously after its chairman's arrest for fudging the books of account. By 2011, TechMahindra (at number 5 in that Nasscom ranking) had acquired Satyam. Three of the top 10 from 2011—Patni Computer Systems, Aricent, CSC India—have been acquired by foreign multinationals (MNCs) or rebadged. So, new owners. Four other IT firms from that top 10 have owners with diverse businesses: TCS, TechMahindra, Wipro, and Larsen & Toubro Infotech. The remaining three companies—HCL Technologies, Infosys and Mphasis—were the only players in 2011 with technology as its bread-and-butter business. Mphasis is now owned by private equity fund Blackstone, while the Shiv Nadar-led promoter group owns 60% of HCL Technologies. Mindtree could have joined that league, except it was three positions behind Larsen & Toubro Infotech even in 2011. Then, co-founder Ashok Soota quit. In contrast, consulting advisory KPMG was already telling the world about how Larsen & Toubro Infotech is a billion-dollar company in revenue. By 2016, the company had two parts, each of which listed: L&T Infotech (LTI) and L&T Technology Services (LTTS). LTTS, which clocked $580-million, plays in the high-value and low-volume engineering R&D services. (Remember, Mindtree is short of $1 billion in revenue.) Meanwhile, LTI is already a $1.13 billion company in the IT services industry. Here's the thing: LTTS saw a 52-week high of Rs 1852.5 and low of Rs 1,150 on the Bombay Stock Exchange (BSE). In comparison, Mindtree's high was Rs 1,181.9. LTI has seen a high of Rs 1,192.45 and low of Rs 1,328.35. Both L&T companies have clocked better operating margins, and one of them is larger than Mindtree. It's why the Mindtree founders' point on strategy and culture needs to be weighed dispassionately with how it has performed. Mindtree has the culture (maybe, even the better digital strategy), which is why L&T has valued it as highly as it has. According to a source at the L&T end, there will be synergies because Mindtree's core has been product engineering services. And the combined size should help widen existing client accounts and win more. But where Mindtree's founders had to demonstrate leadership was in influencing the shareholders, who hold more than 65 percent of the company. They have had a year to do that. Without that, the mid-sized company is getting eaten for breakfast. 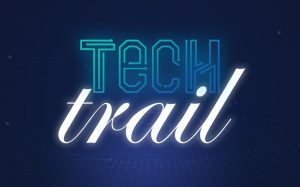 Tech Trail is a column that delves on technology in the Indian realm. Kunal Talgeri is a freelance journalist in Bengaluru. The views in this column are those of the author.